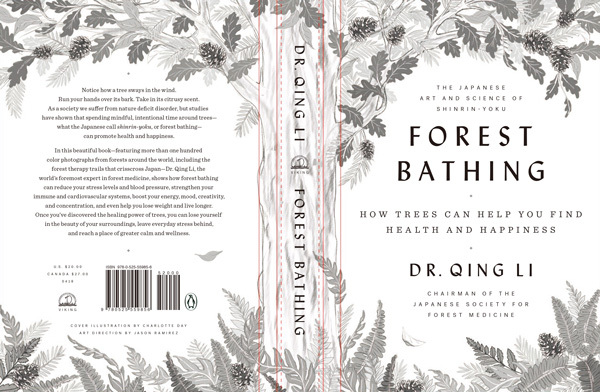 A new book: Shinrin-Yoku: The Art and Science of Forest Bathing – How Trees Can Help You Find Health and Happiness by Dr Qing Li will be published in the UK in April 2018 by Penguin Life. This book will be translated into German, French, Spanish, Dutch, Italian, Russian, Portuguese, Hungarian, Czech, Slovak, Polish, Bulgarian, Finnish and Chinese. Translation of Japanese, Korean, Arabic and other languages is under negotiation. Dr Qing Li is the vice President and Secretary General of INFOM. Please see the following website for more information. This book also will be published in USA in April 2018 by Viking Books (http://www.penguin.com/publishers/vikingbooks/).